So you see, for me, it’s more than essential that my hair tools work well and quickly. Not only that, but they need to be the sort of thing I can trust to do the job, day-in-day-out. Ideally my hair tools also need to be adaptable to suit my everyday needs – sometimes I want styled hair for a day out or a shoot, and sometimes I want sleek, poker straight tips. But whether I want a bouncy blow dry or a poker ends look, my hair styler needs to deliver…Yes, you could say I expect big things from the tools that become my haircare staples. So, let’s talk about a hair styler that landed in Lady Writes Land recently and blew me away. 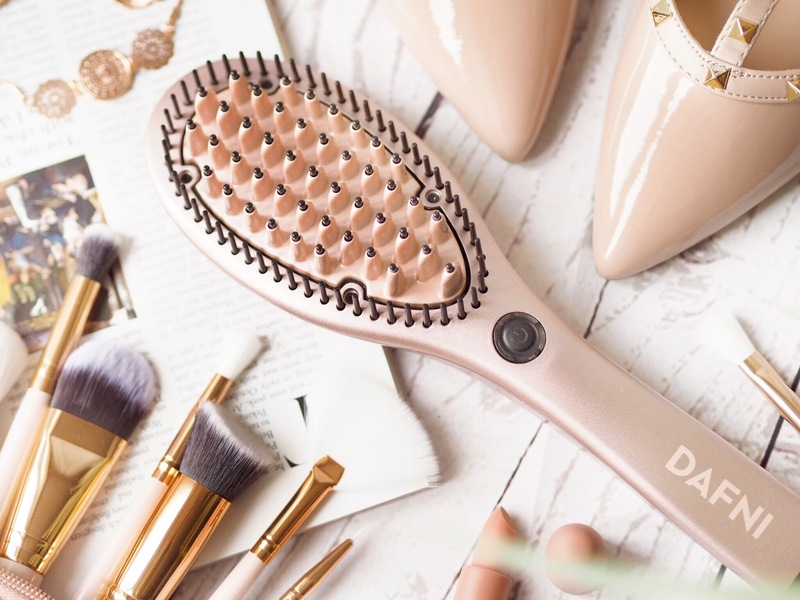 You guys know I am always 100% honest when I talk about products on my blog., and I’ll be the first to let you know if a product isn’t up to scratch…but everything about the DAFNI Limited Edition Hair Straightening Brush has blown me away. In fact, the only negative thing I can say about this, is that I wish I’d discovered it sooner! 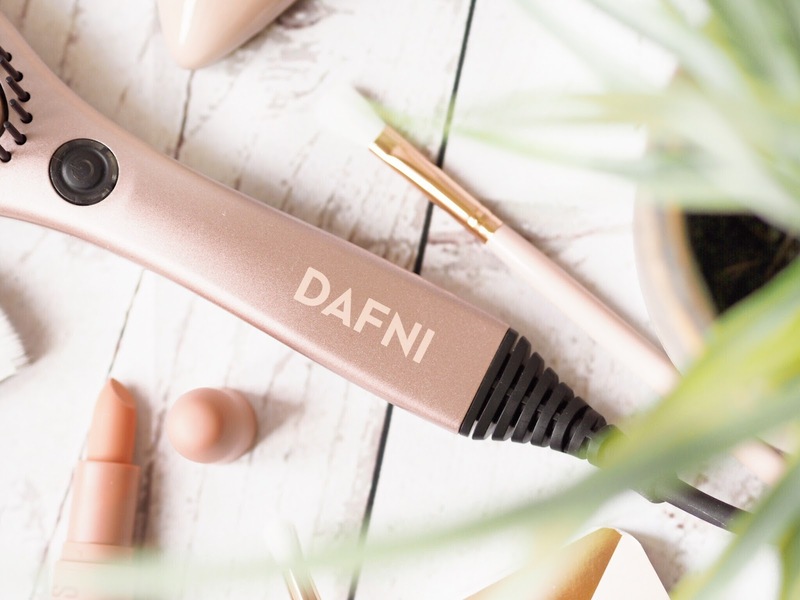 DAFNI – where you been my whole life bae?! The brush is limited edition and exclusive to John Lewis, and comes in rose gold – ROSE GOLD, PEOPLE! So the first thing you’ll notice is how gorgeous it is. 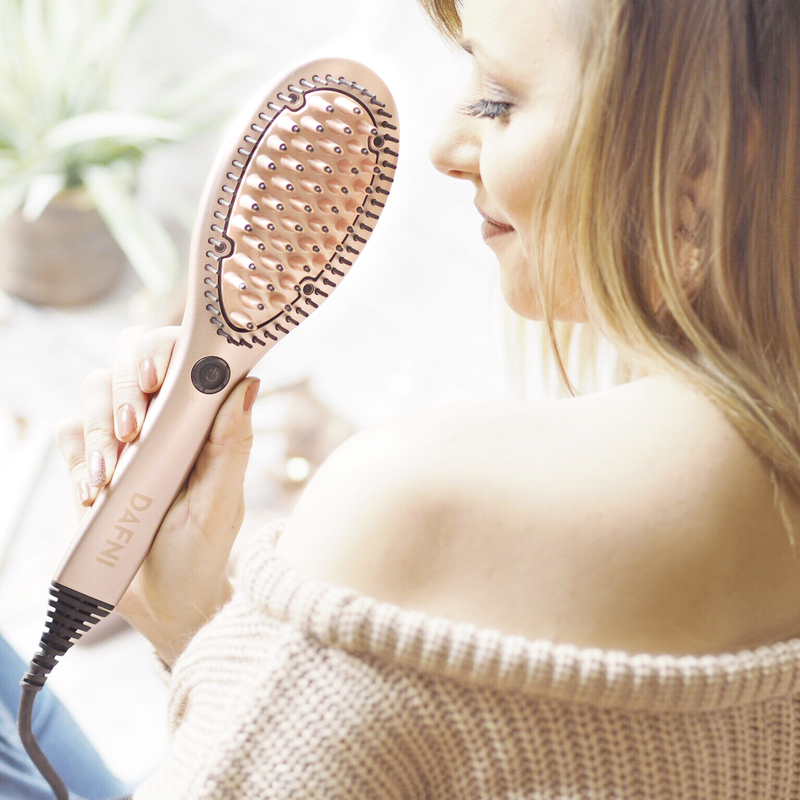 Rose Gold is the colour of choice for everything from jewellery to shoes right now, so how nifty that your daily hair styler can now match your favourite accessories. Beyond that though, it looks just like your everyday hair brush, just maybe a bit thicker. It comes with a power cord that works from the mains, and wouldn’t look out of place on vanity tables everywhere. 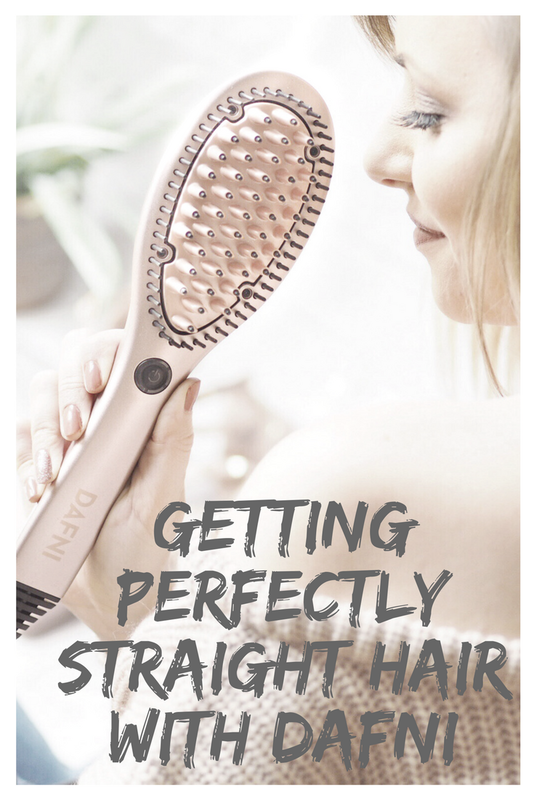 Basically the DAFNI Hair Straightening Brush is your one-stop-shop for daily sleek hair. The brush style of it combines springy bristles and a ceramic coating for proper heat conduction – without any pain to the scalp. Yep, thanks to the bristles and coating, you can get this right next to your skin and not have that sting of a burn that you’ll get from straighteners themselves. Which is great, especially when you first start using it and get used to it. The technical side of things is this: it sticks at a consistent temperature of 185 degrees and evenly distributes throughout the brush head, so the overall look is sleek and glossy. It’s simple: like a brush! 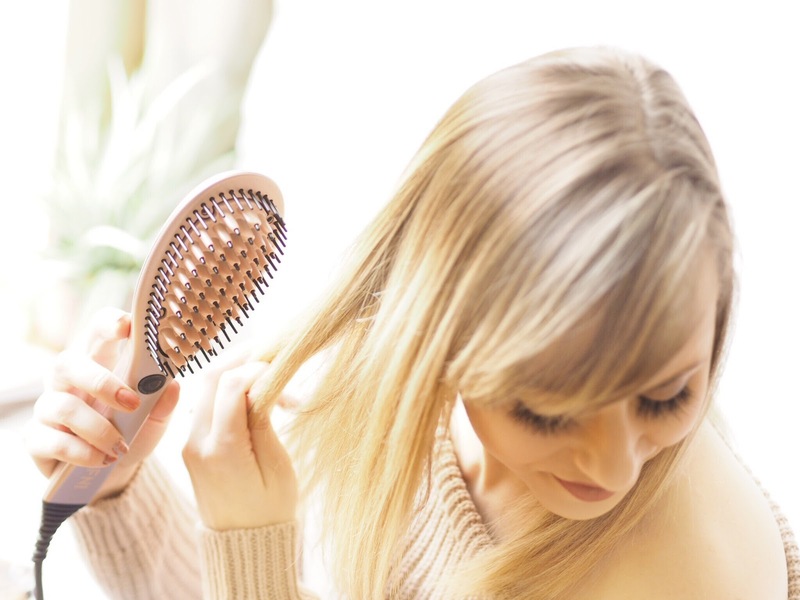 Brush your hair as normal for 3-5 minutes depending on the thickness of your hair and you’re good to go. It’s that easy. Holding the brush and running from root to tip and brushing downwards as you would with your normal brush, and you’re done in less time than it takes to make a cuppa. 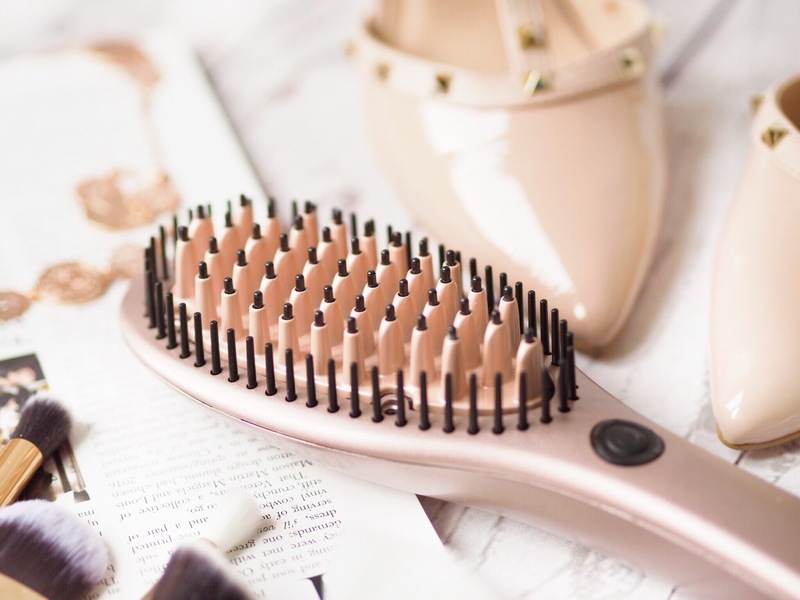 This is the main reason I love my DAFNI Brush – it’s just so quick and easy at giving everyday sleek looking hair. Is it good for the hair? All styling takes it’s toll on your locks. But the DAFNI Straightening Brush is the safest way to straighten hair without harming it – thanks to the consistent temperature. Your hair will look smooth and sleek and like it’s been dried professionally, with no sign of breakage visible. £10 from every sale goes to Hestia. Another really important thing to mention about the DAFNI Limited Edition Straightening Brush, is that £10 from each sale of the styler from John Lewis, is donated to Hestia. Hestia are a charity who work to provide support to over 9,000 people from a huge variety of backgrounds. The support they offer includes giving homes, helping with mental health support and provision in crisis to name but a few. The types of people that Hestia support include victims of modern slavery, women and children who have been victims of domestic abuse, young carers and the elderly. Their services really do help to rebuild lives, so there couldn’t be a more worthwhile cause for the sale of these brushes to support. 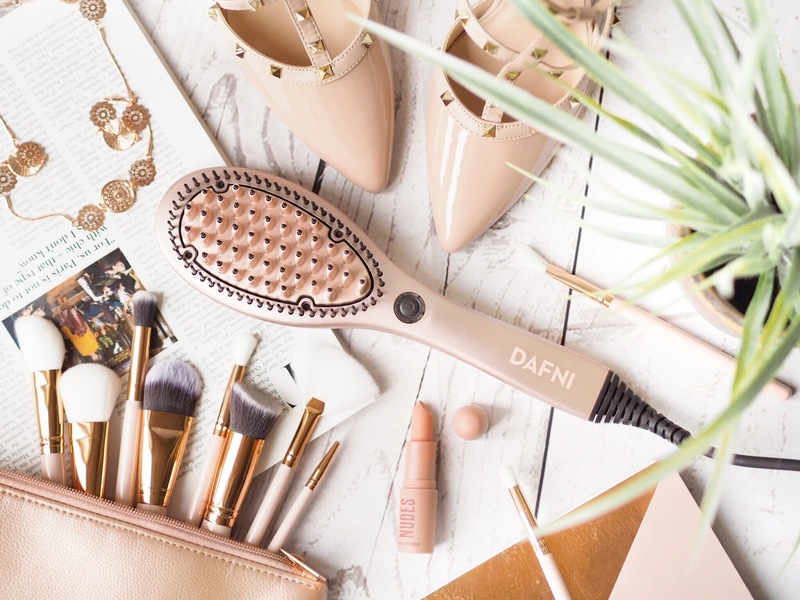 All-in-all for me, the DAFNI Brush has slotted perfectly into my everyday beauty regime. It’s quick and easy to use, it doesn’t damage my ridiculously fine hair, and gives me a sleek looking blow-dry look in less time than any other styler I’ve used. Plus it’s made the non-wash days I first mentioned, so much better because it gives my hair a new lease of life – without washing! What I like when I use it, is that it retains some volume in my hair, unlike straightners which unless you spend a lot more time using them, tend to pull the volume out of my fine tresses unfortunately. So it’s really given me some everyday oomph back in the roots in such a short amount of styling time. It’s an absolute haircare win. And it’s available exclusively from John Lewis.